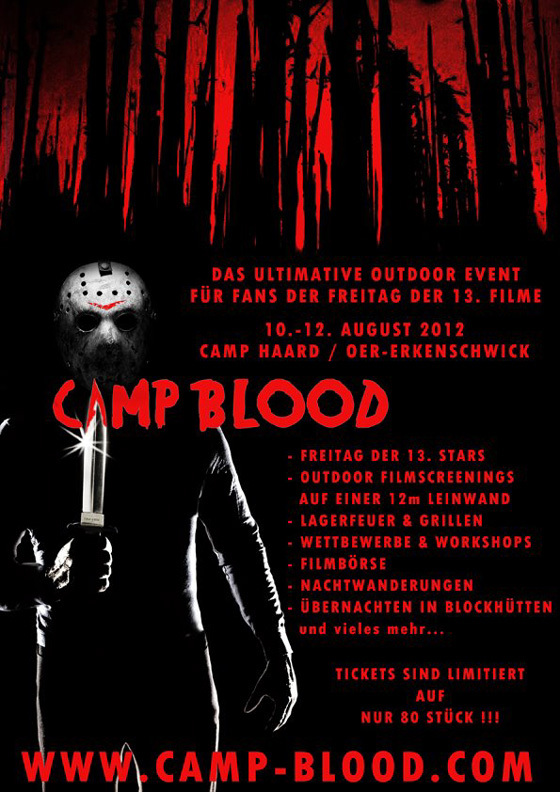 The brand new Friday The 13th themed event 'Camp Blood' was announced here last month with some great guests already lined up for fans of the slasher series to meet and greet. This new event will be held in Germany in August 2012 and will feature a number of activities for fans to enjoy with fellow franchise followers. Now the organizers have just announced a new attendee for the weekend of camp excitement. Bill Randolph (Jeff, Friday The 13th Part 2) will be joining Warrington Gillette (Jason Voorhees, Friday The 13th Part 2), Ron Milkie (Officer Dorf, Friday The 13th 1980), and Larry Zerner (Shelly, Friday The 13th Part 3). So far this is an impressive list of alumni from the original set of Friday The 13th films and we are sure there will be many more added between now and August.